The California Gold Rush captured the get-rich dreams of people around the world more completely than almost any event in American history. This catalog, published in celebration of the sesquicentennial of the 1848 discovery of gold at Sutter's Mill, shows the vitality of the arts in the Golden State during the latter nineteenth century and documents the dramatic impact of the Gold Rush on the American imagination. 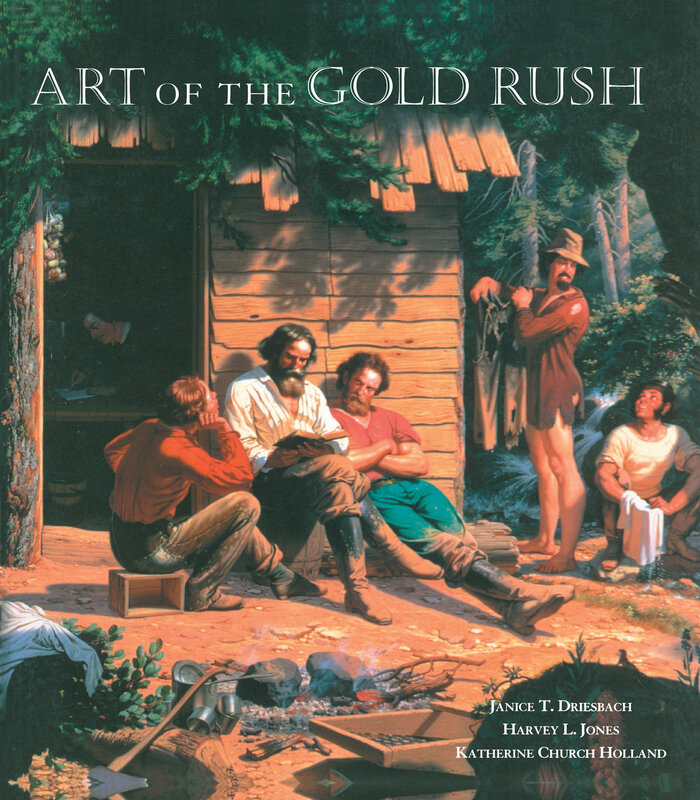 Among the throngs of gold-seekers in California were artists, many self-taught, others formally trained, and their arrival produced an outpouring of artistic works that provide insights into Gold Rush events, personages, and attitudes. The best-known painting of the Gold Rush era, C.C. Nahl's Sunday Morning in the Mines (1872), was created nearly two decades after gold fever had subsided. By then the Gold Rush's mythic qualities were well established, and new allegories—particularly the American belief in the rewards of hard work and enterprise—can be seen on Nahl's canvas. Other works added to the image of California as a destination for ambitious dreamers, an image that prevails to this day. In bringing together a range of art and archival material such as artists' diaries and contemporary newspaper articles, The Art of the Gold Rush broadens our understanding of American culture during a memorable period in the nation's history. Janice T. Driesbach is Curator of Art at the Crocker Art Museum in Sacramento. Her most recent book is Direct from Nature: The Oil Sketches of Thomas Hill (1997). Harvey L. Jones is Senior Curator of Art at the Oakland Museum of California. His most recent book is Twilight in Reverie: California Tonalist Paintings, 1890-1930 (1995). Katherine Church Holland, formerly Fine Arts Curator at the California Historical Society, is currently an independent curatorial consultant.